There was a time when young girls would spend their summers marching in parades. 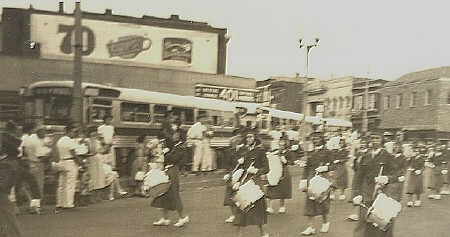 They would start practicing in the Spring with their instruments, working on drills and marching to keep their lines perfectly straight. It was hard work, but all were dedicated and it was enjoyed by all who participated. 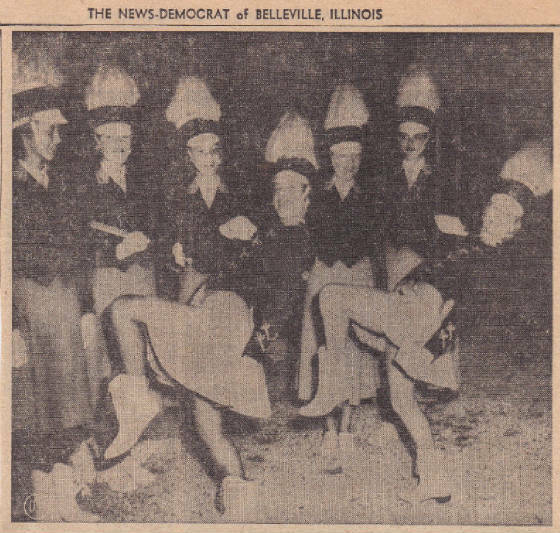 The Bellettes Drum and Bugle Corp was an all girl drum corp. 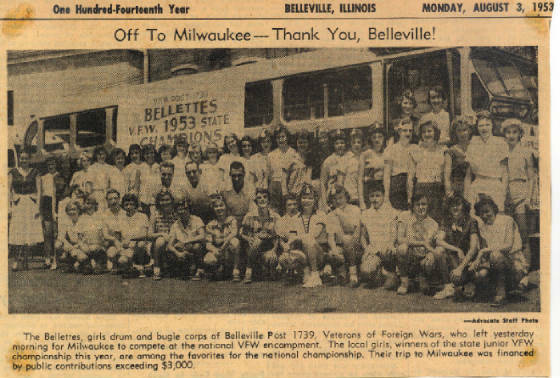 They were sponsored by VFW Post # 1739, Belleville, IL. They were organized in 1937 and disbanded in 1978. 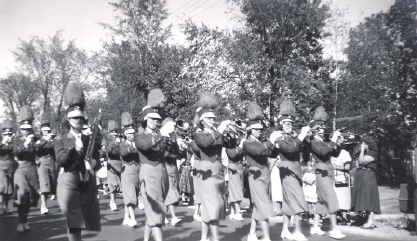 The Bellettes participated in about 30 parades a season. Along with marching in parades they would enter into competitions. They started with blue and gold uniforms and later changed to green and gold. At one time they wore wool jackets and skirts with white long sleeve shirts. Of course some summer days were so hot, we would remove the jackets and march with white shirts and the gold skirts. We all enjoyed each others company and looked forward to meeting people from other corps. Today there are no all girl drum corps in the U.S. However there is one in Canada know as the Bandettes All Girl Drum and Burgle Corp.